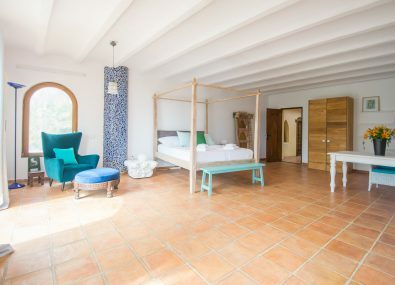 Can Pep Vildu is a luxury Ibiza villa with tennis court, in the style of a unique Riad style Ibiza retreat. 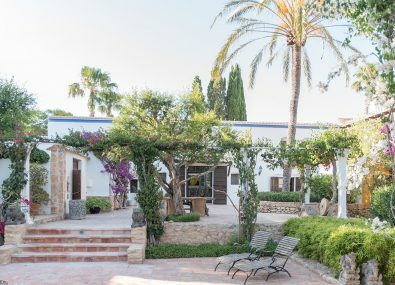 This impressive traditional Ibiza villa is brand new to the holiday rental market. 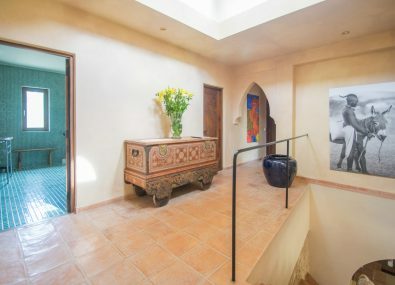 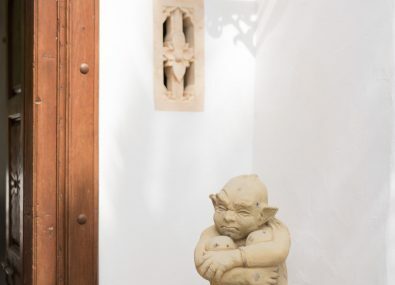 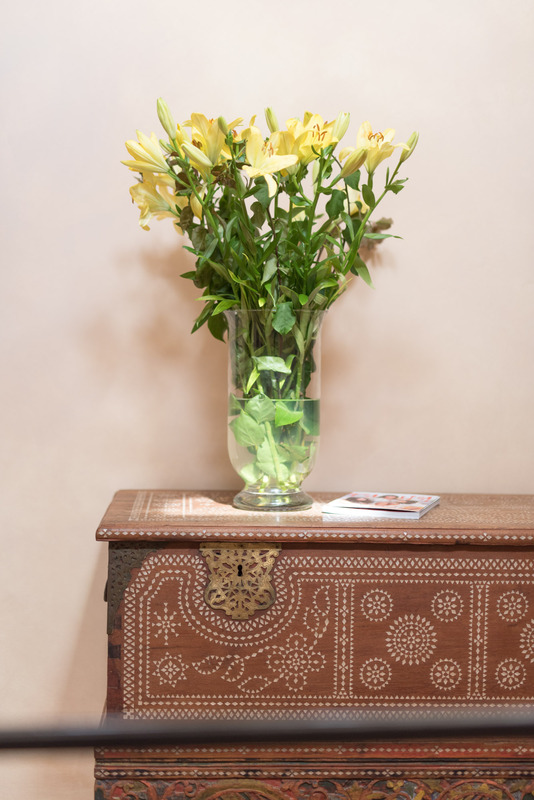 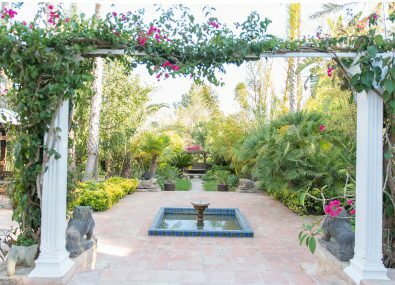 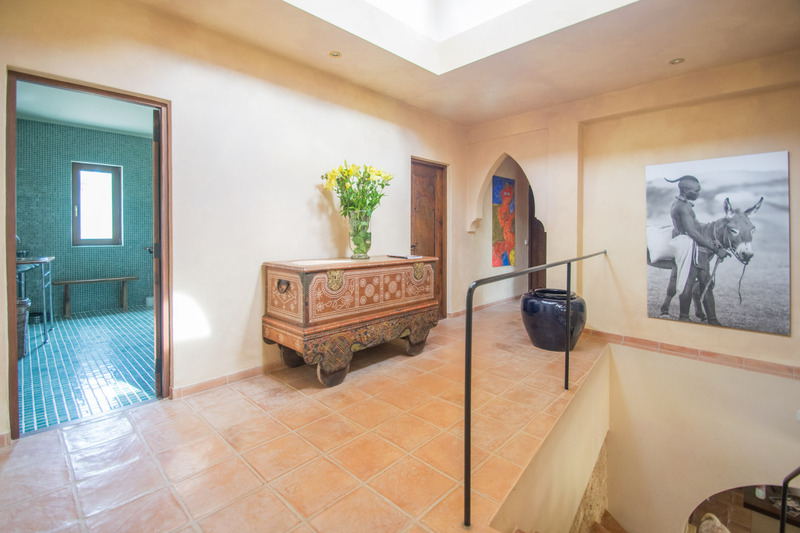 The idyllic setting of this peaceful rural country house, together with a decidedly Riad style, makes it the perfect holiday home for those seeking privacy and seclusion. 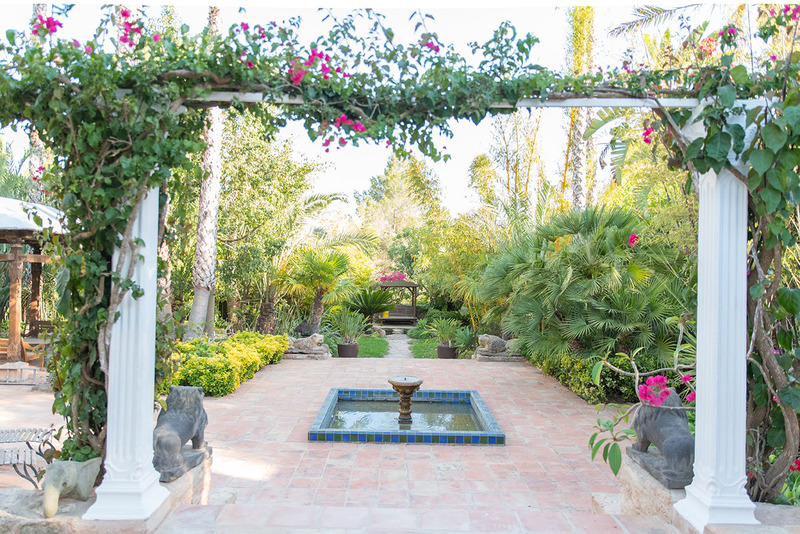 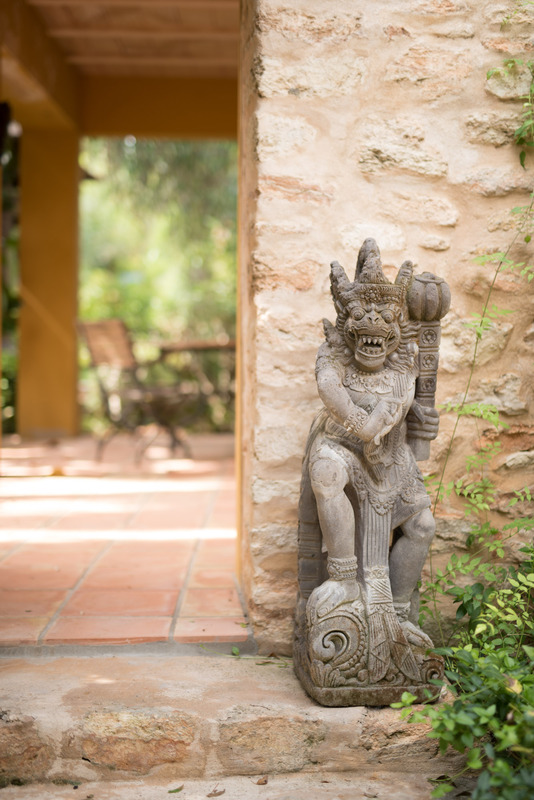 The villa has plenty of charm and it’s a hidden gem in the heart of the island, a real oasis. 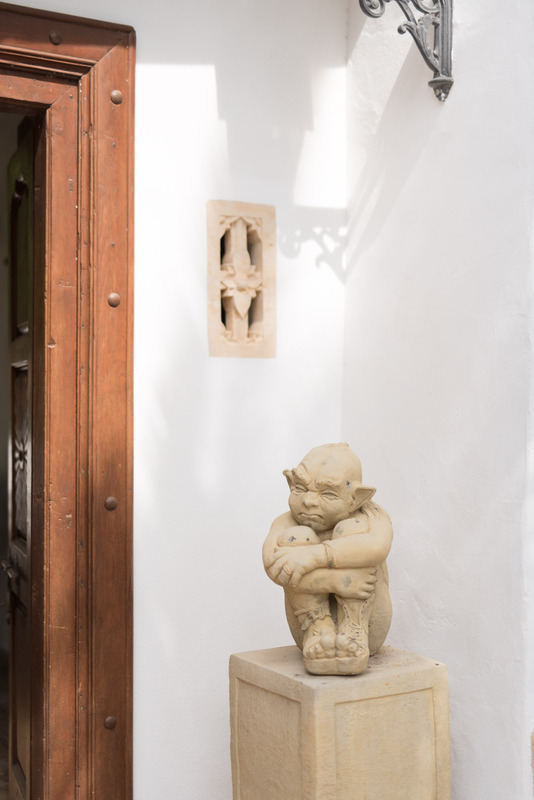 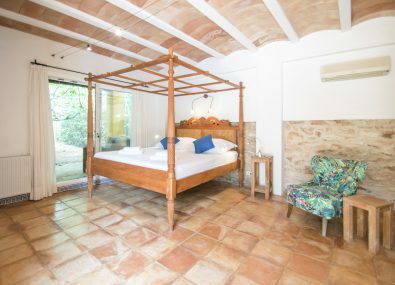 A peaceful location, close to the village of San Lorenzo and one of Ibiza’s best restaurants, La Paloma. 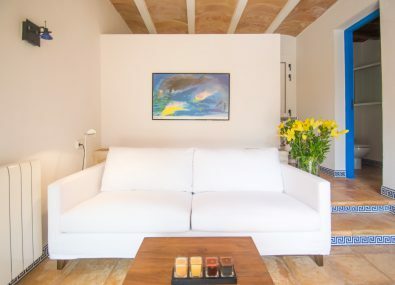 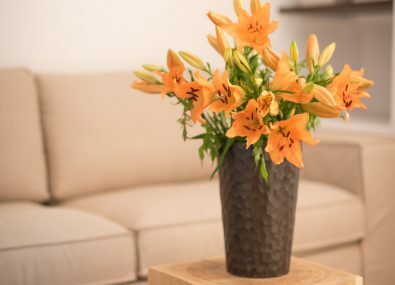 Conveniently located also for the resort town of Santa Eulalia. 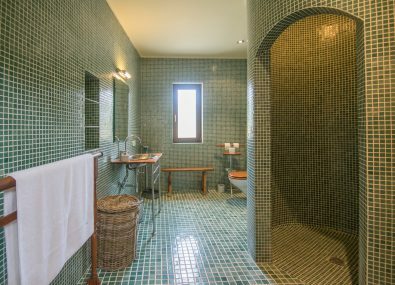 The stunning Atzaro hotel with spa facilities is also only a few minutes drive. 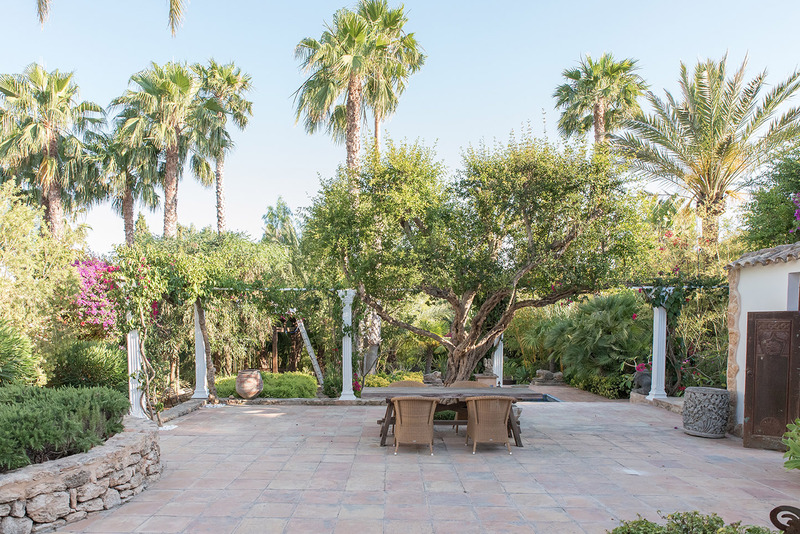 Set within 35,000 m² of private land, the very spacious villa features 800 m² of living space. 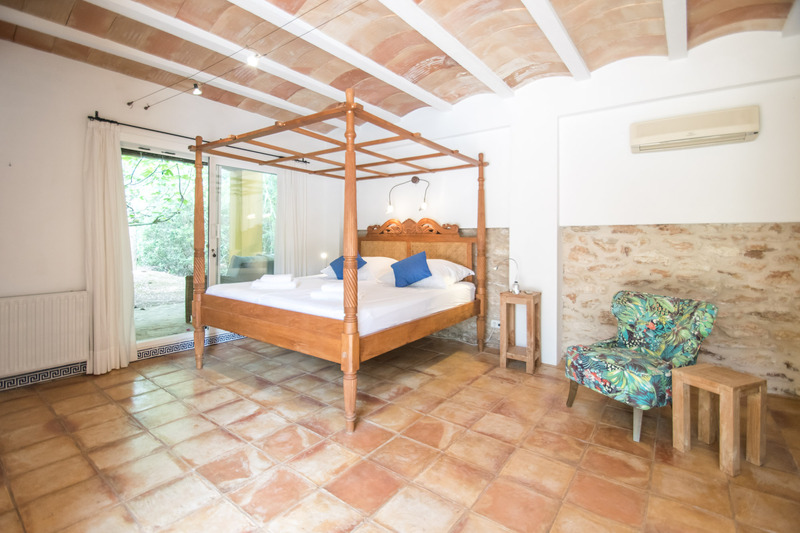 There are six spacious bedrooms and five bathrooms, sleeping for up to 12 people. 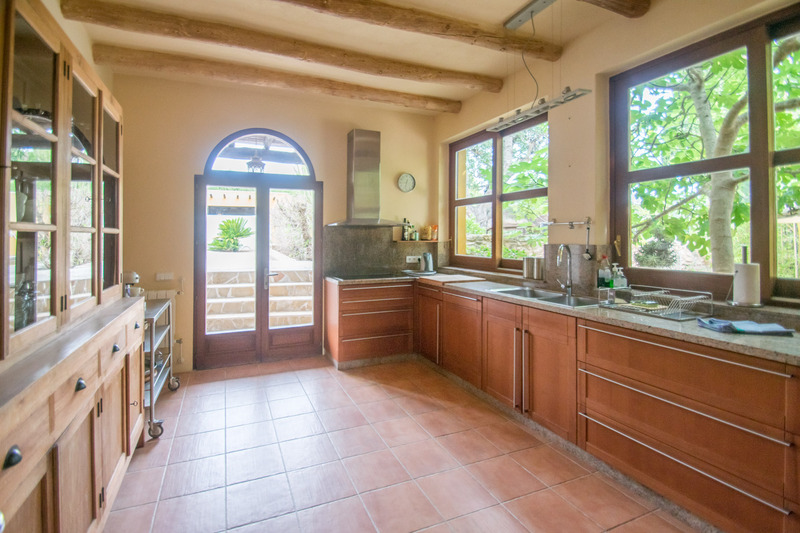 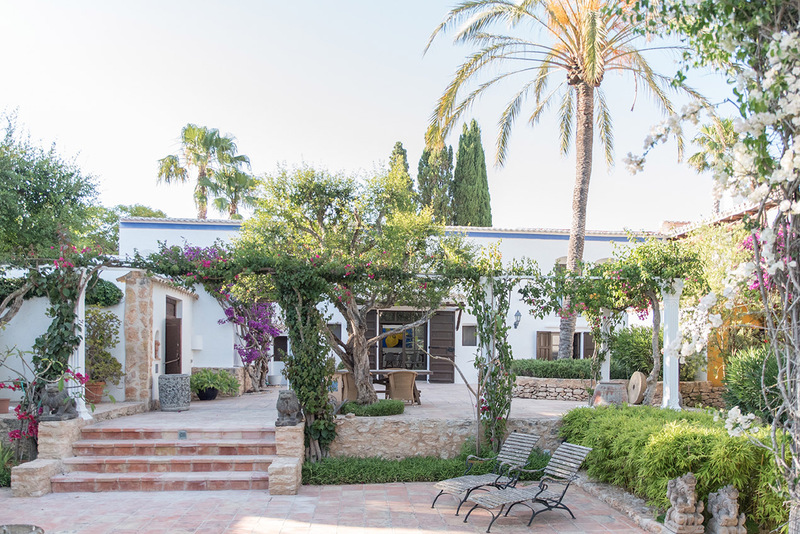 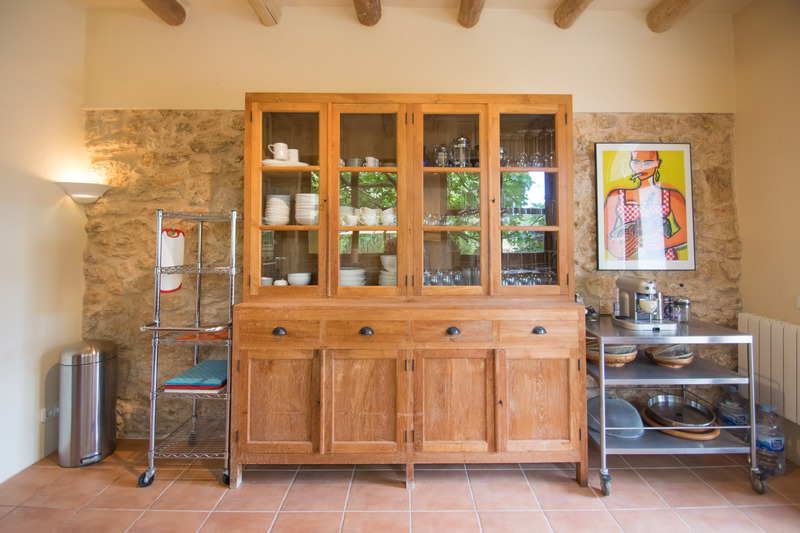 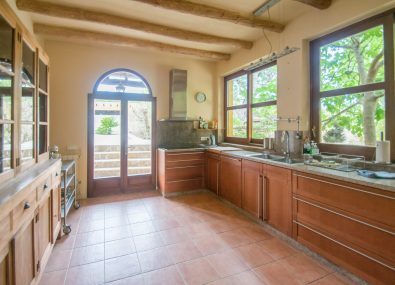 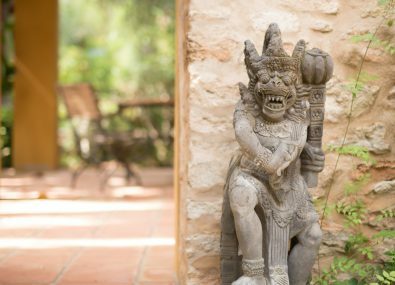 This stunning finca has been lovingly refurbished to a very high standard, retaining all the beautiful original features. 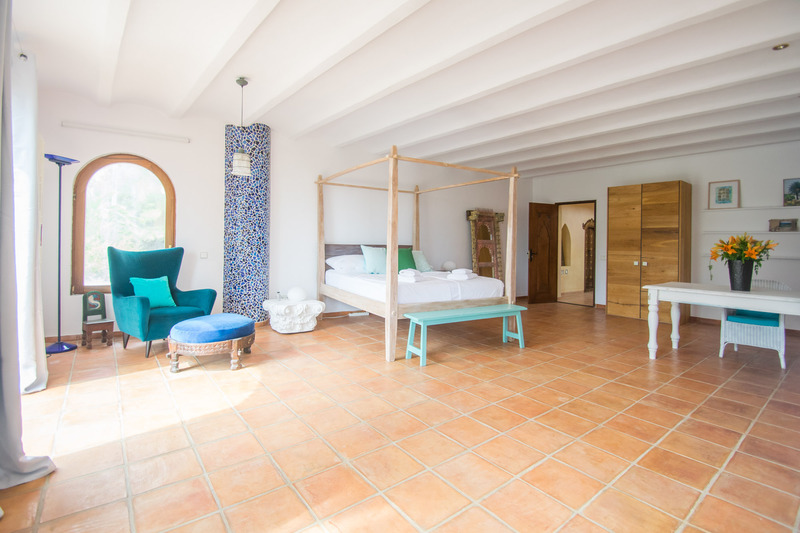 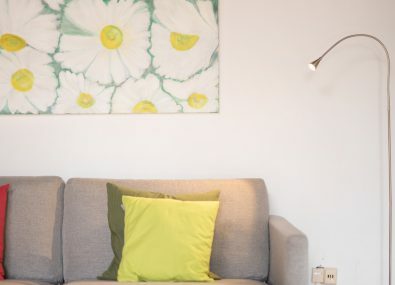 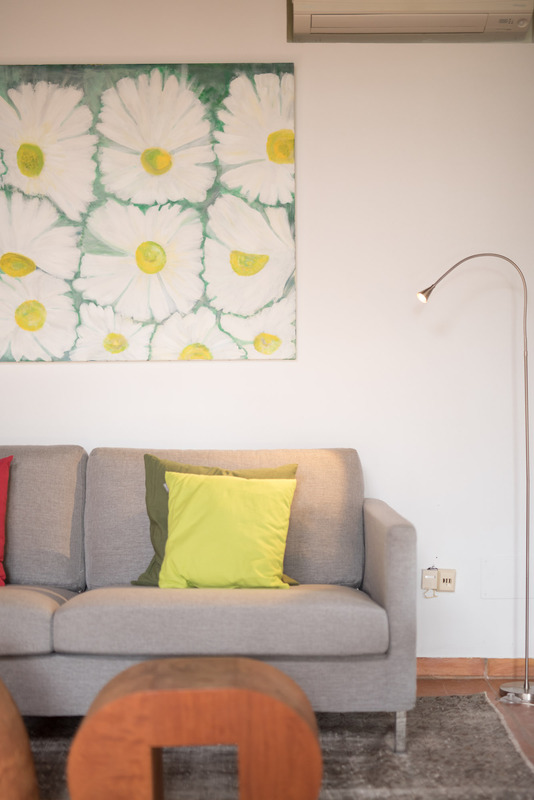 The owners have added style and a contemporary finish, together with all the modern facilities needed for a relaxing Ibiza holiday. 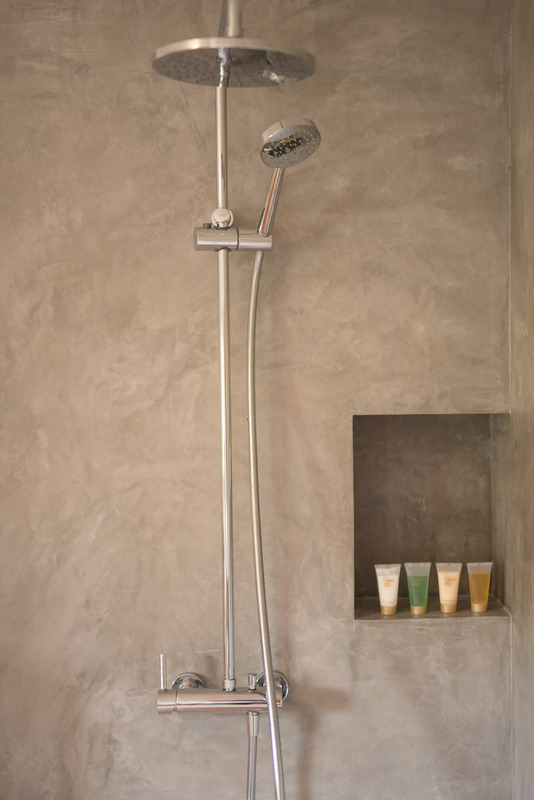 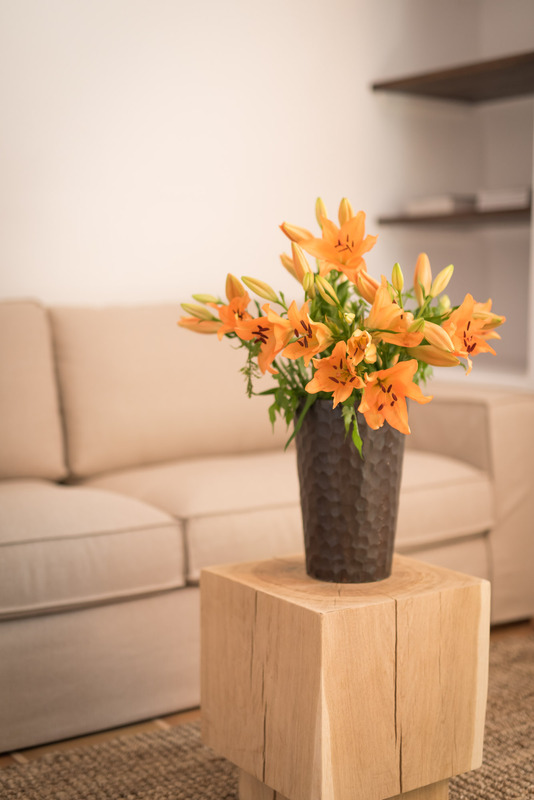 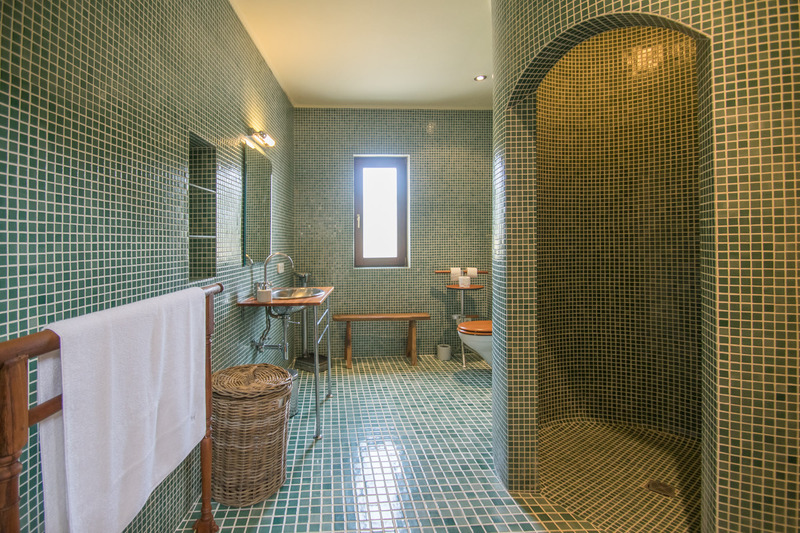 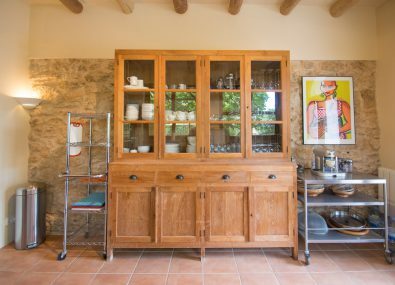 The natural materials fuse together throughout the villa, providing an immediate sense of tranquility. 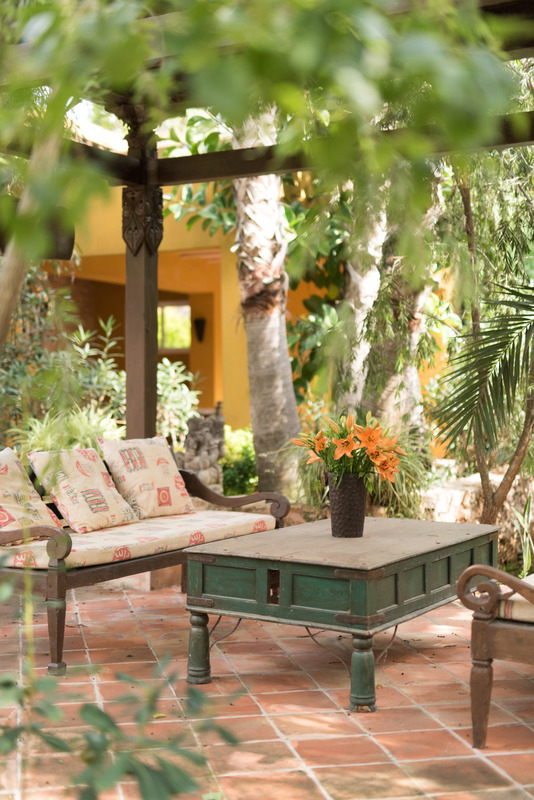 A relaxed atmosphere flows from the inside to the outside, enriched by the unique details of the decoration. 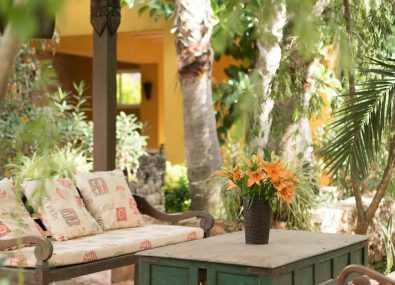 The villa boasts many spacious terraces, spectacular well-maintained gardens, and a large swimming pool. 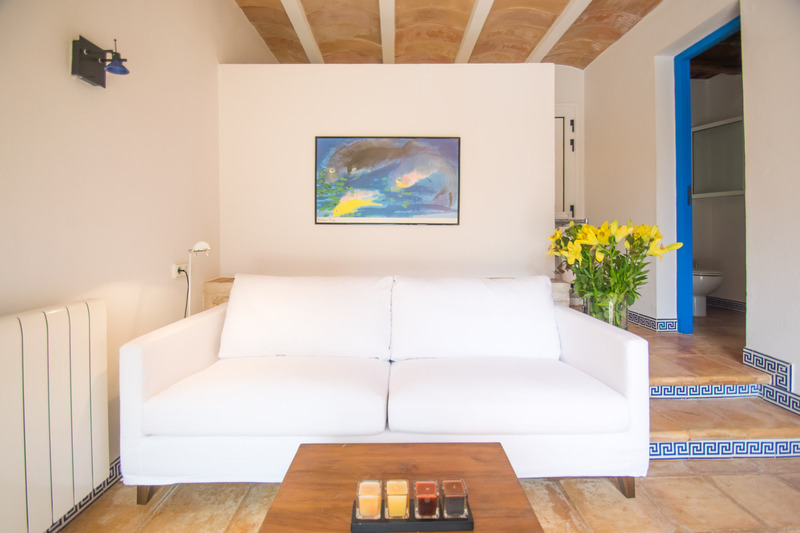 Can Pep Vildu is a luxury Ibiza villa with tennis court. 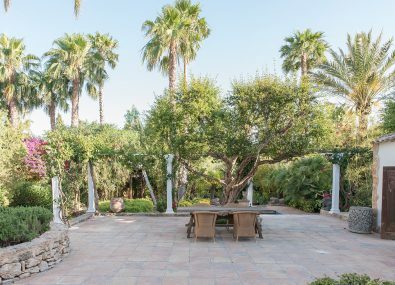 There are very few on the island, and it is very rare to find such a luxury villa with tennis court offering exceptional value!